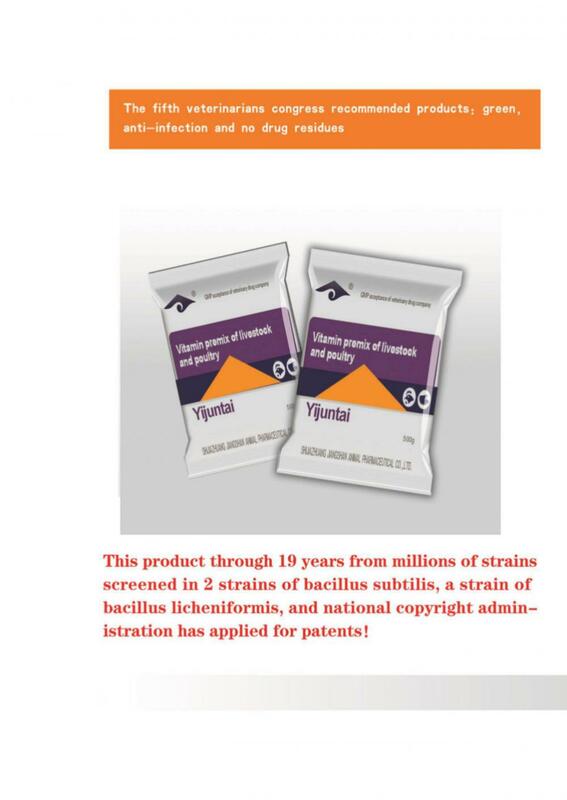 Vitamin Premix of Livestock and Poultry through 19 years from millions of strains screened in 2 strains of bacillus subtilis,a strain of bacillus licheniformis,and national copyright administration has applied for patents! 1.Vitamin Premix of Livestock and Poultry replaces the antibiotic and improves the unbalance problem of gastrointestinal microbiota caused by antibiotic,it speeds up the illness recovery of animals. 2.Vitamin Premix of Livestock and Poultry decreases broiler` sproventriculitis and diarrhes.it increases the immunity of chick,improves the disease resistance,rate of survival and broiler growth. 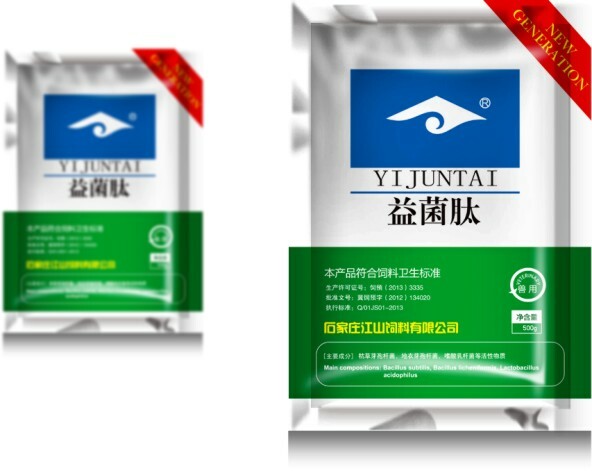 3.Vitamin Premix of Livestock and Poultry decreases broiler` sproventriculitis,dyspepsia,it improves the feed conversion,immunity and laying rate.It enhances the eggshell strength,improves the eggshell color. 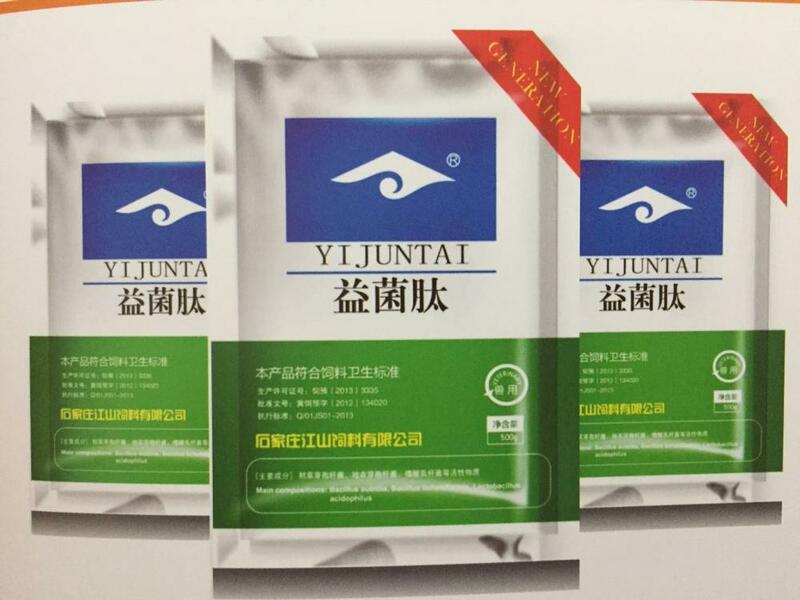 4.Vitamin Premix of Livestock and Poultry promotes the health development of piglet intestinal,decreases the intestinal diseases like diarrhea.It reduces the mortality,increases the immunity of piglet and anti-stress. 5.Vitamin Premix of Livestock and Poultry improves the sow constipation,enhances feed intake,reduce weight loss during lactation period. 6.Decreasing the feces output,eliminating the harmful gas,e.g.ammonia gas,hydrogensufide,formaldehyde etc.Reducing the respiratory disease,improving the feed environment and economic performance. Looking for ideal Vitamin Premix of Livestock and Poultry Manufacturer & supplier ? We have a wide selection at great prices to help you get creative. All the Speeds Up The Illness Recovery Of Animals are quality guaranteed. 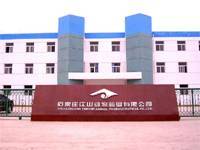 We are China Origin Factory of Replaces The Antibiotic. If you have any question, please feel free to contact us.